Need your Sadaqah box emptying? 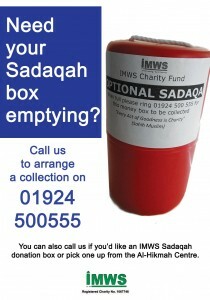 Call us to arrange a collection on 01924 500555. You can also call us if you’d like an IMWS Sadaqah donation box or pick one up from the Al-Hikmah Centre.